Can You Guess What I Found Inside My Dishwasher? My dog was behaving funny, sniffing back and forth behind the fridge. Before I could ponder why, a little grey mouse scurried out and dashed for the dining room! “There’s a MOUSE in the house!”, I shouted to my husband. We did a stakeout, a full lockdown, a chair barricade and a rodent raid, but could not find the offending critter. We turned on the tv and hoped that the mouse would go away on its own. There was a rustling in our garbage bag, but the mouse dashed off before it could be caught. “I think I’ll call the mouse Nikolai Alexi.”, I told my husband dreamily. It seemed a fitting name for a brave, dashing mouse. The evening continued in the same vein, with me half-watching tv, half listening for Nikolai. I suddenly heard the pitter patter of little mouse feet in my kitchen. I jumped up, and the mouse darted behind the oven. And then I saw it: little brown pieces of “rice” on my kitchen counter! This was not rice! My house had been violated! “We need to buy mouse traps right away! Humane traps so we can set Nikolai Alexi free in the wild!” My husband had an idea that had to do with the mouse meeting a broom, but we went with my idea instead. The humane mouse traps didn’t catch anything except the $20 we spent on them. Nikolai Alexi was getting bolder, and he seemed to always be in two places at once. I was finding mouse poo regularly in my kitchen. After searching for tips on the internet, I changed my bait from Swiss cheese to peanut butter. Nikolai was not biting. I begged my husband to embrace the humane way of catching the mouse. I rinsed a glass and put it into my locked dishwashing machine. What? Was that brown rice at the bottom of the dishwasher too? I looked more closely, and I thought I saw a small grey tail disappear into the drain hole at the bottom of the machine! “We’re buying new mouse traps TONIGHT!”, I shrilled, completely grossed out by a dirty rodent living in my dishwasher! I disinfected the dishwashing machine thoroughly and ran it for 3 very long, hot cycles. We set up one wood spring-loaded mouse trap that night, just like the ones you see in cartoons. The two-pack was much cheaper than even one humane trap. I put peanut butter on the trigger. The next morning I came downstairs filled with dread, for fear that Nikolai Alexi would be dead in the trap. There was no mouse, but the trap had been licked clean. On advice, we set two traps against the walls where a mouse would usually run. We hid one behind the fridge, and the second behind the oven, casting our net wide. The next morning, I peered behind the oven and saw that the trap had been disturbed, and it was now upside down. I took a broom handle and retrieved it. There inside the trap was Nikolai Alexi, no longer a brave, dashing mouse. Not usually a woman of tears, I began to cry for poor dead Nikolai, and also out of relief that the menace was now gone from my kitchen. Nikolai looked much smaller than I had envisioned him to be. We dropped the mouse and trap pair in the garbage and put it outside. The mouse had been caught, so I was about to throw out the second, undisturbed trap. What stopped me, was the sage advice I received from my Mom: “Where there’s one mouse, there’s likely to be others!” Could it be that Nikolai Alexi had not been acting alone? Can you guess it? The very next morning the second mouse trap was also occupied by a mouse looking exactly like Nikolai Alexi! Was it a brother, a sister, an auntie? I just could not tell with the strong family resemblance. They both had a grey back and a white tummy. In lieu of the infestation, no more tears were shed by me. This was war! I unlocked my pristinely sanitized dishwasher, and there was more mouse poo at the bottom! I removed every dish and glass from its inner sanctum, and replaced the dishware with 2 more mouse traps laced with peanut butter. We had just tucked ourselves into bed, when I heard the SNAP! of a mousetrap. It was surprisingly loud through the locked dishwasher door. I felt sick to my stomach fishing out the dead mouse from my beautiful dishwasher! Yes, you counted right, a 3rd mouse in my house, er, dishwasher! Not 30 minutes later, there was another audible SNAP! The 4th mouse made me sad, as it was the only baby among all the mice, and it had cute little ears, a tiny pink nose and whiskers. We did another round of traps in the dishwasher, and also caught mouse #5 and #6. I had one more trap, and set it up. Days passed, and there was not so much as a nibble at the peanut butter on the trap. Once again I followed my Mom’s advice: “No harm to keep the trap out for another week, just to be sure you’ve caught the last one.” I was a little skeptical, as there were no more signs of mice in the house. It was the fourteenth day and I was just about to take down the last mouse trap. The house had been lovingly swept, there was no food or garbage within a mouse’s reach, and no more brown rice in the dishwasher. And there it was in the trap, unlucky mouse #7! How had all the mice gotten into a sealed dishwasher? I guess the mystery must have died with the mice, and Nikolai Alexi took the secret to his grave. This article was written by me, Jenna Em, and appears in the Wednesday October 30th, 2012 issue of the Kuklamoo blog. 10 Reasons Why I’d Go Back to The She’s Connected Conference! 1.Online Friends – Your online friends are even more awesome in person, than viewed through a computer screen! 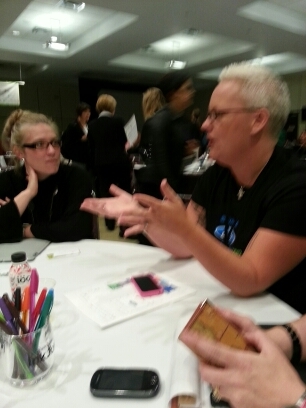 I had the pleasure of finally meeting Brandi from Yee Wittle Things, Sandy from Zwap Canada and lots of other special online gal pals at SCCTO! 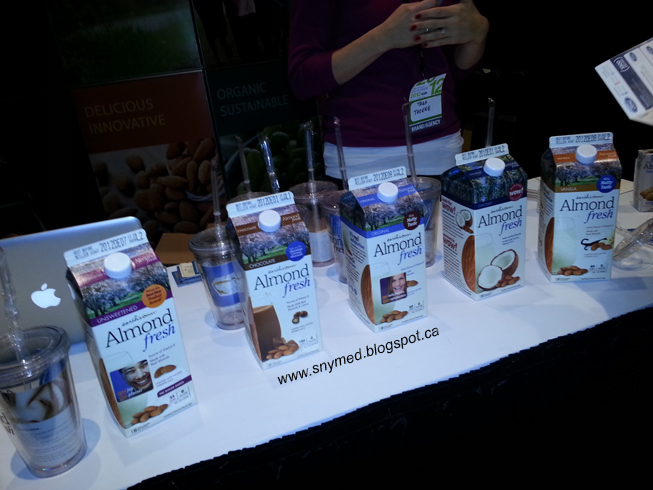 2.New Friends – The amount of new friends I made at SCCTO was astronomical! Many of these fantastic ladies I had known of from reading their blogs, and it was great to finally put a face to a name, er, blog! In no particular order it was great to meet Common Cents Mom, Sober Julie, In R Dream, My Bits and Bleeps, Tales of a Ranting Ginger, Life on Manitoulin, Ottawa Mommy Club, Life's a Blog, Mom Vs. The Boys, Thrifty Mom Media, Our Family World, Orange Hero Mom, Althea Officinalis, Mommy Gearest, Journeys of the Zoo, Nugglemama's Handful, and so many more! 3. Brands, Brands, Brands! – The sheer number of brands that I had a chance to meet with face-to-face at SCCTO was MEGA! I had the pleasure of speaking with Walt Disney World Company (Canada), PepsiCo, Hasbro, Environics Communications, ING Direct, CAA South Central Ontario, ING Direct, Ford Canada and The Huffington Post, just to name a few of the brands! 4. Opportunities! – Wow! The connections I made with some brands quickly opened new doors, and presented myself with immediate opportunities. 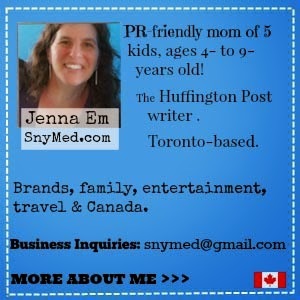 One such opportunity was with The Huffington Post Canada, and I am currently writing for them! I also have many other opportunities in the works, that I can tie directly to the She’s Connected Conference. 5. Great Speakers! – I attended both days of the She’s Connected Conference, and during that timeframe managed to hear 14 different speakers discussing topics that were of interest to me. 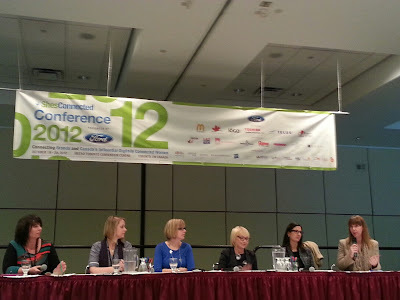 Some such speakers were Keynote Brigitte Richardson from Ford Motor Company, Keynote Kate White (Former Editor-in-Chief from Cosmopolitan Magazine) and Richard Ellis from McDonald’s. Content included Blogger Relations, Content Strategies, Monetizing a Blog, Social Media, Book Signings, Brand/Agencies and more! 6. Pampering! 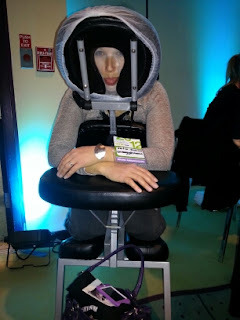 – I was royally pampered at SCCTO, including a mini manicure and massage in the McDonald’s Lounge, and real mink eyelashes at the iLash.me booth. I would have loved to have had my hair coiffed at the Blo Blow Dry Hair Bar booth, but did not get the chance. Next year! 7. Swag! – For the swag-loving crowd out there, the swag was cool and plentiful and SCCTO! Personal favourites include a Maple Leaf Bacon “Fashionista” t-shirt, The Printing House Umbrella, Almond Fresh tetra packs of beverage and the incredible “Real” Spoon bracelet from Handmade Treasures. 9. The Parties! – One of the disadvantages of attending a conference in my own hometown, is being called back home and not being able to attend the fab parties! I’ll try not to make the same mistake next year, as I heard that the SCCTO parties were fabulous! I saw the pics, and I’m so sorry I missed being a part of it. 10. Let Me Speak! – The 10th reason that I would love to attend The She’s Connected Conference next year, is so I can be a speaker and share what I have learned this year as a blogger. I remember being an absolute newbie, and all the questions I originally had. Wouldn’t that be great! So, where do I sign up to attend SCCTO 2013—or better yet, SCCVAN 2013 this January or February in Vancouver! It was our first child’s very first year of school. 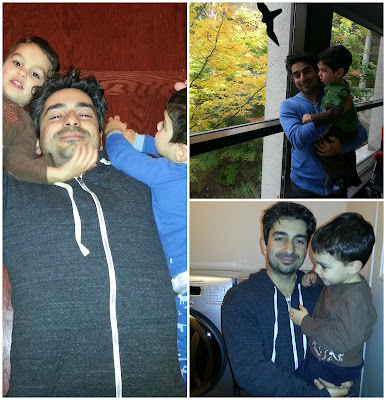 As first-time parents often do, my husband and I eagerly attended the Junior Kindergarten orientation. Topics for discussion were curriculum, busing, and what to pack in our child’s backpack. We went over the checklist: change of clothing in case our child had an accident, check! Indoor shoes so the classroom would not get muddy, check! Two peanut-free snacks and a peanut-free lunch…wait! 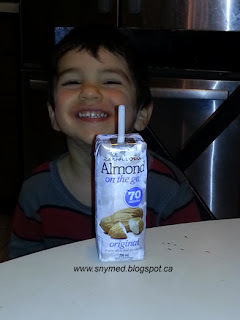 Our child’s school was completely peanut-free, we learned to our surprise! What did we know about peanut allergies at that time? Well, we knew that our son did not have this allergy, and of that we were thankful. We knew that it meant that we would have to find peanut-free alternatives for snacks and lunch, which would equate to no peanut butter and jelly sandwiches, no nutty granola bars and the likes. This was definitely not a big deal. We went to our local grocery store and read the ingredient list of some granola bars, many had nuts. The very few did not. This was at a time before peanut-free items were clearly labeled as such. We made our son a turkey sandwich for the first day of school, and paired it with a mini applesauce and baby carrots. Our son came home from school and said that two children in his classroom had severe peanut allergies, so the teacher had to confiscate snacks that did not adhere to the peanut-free guideline. Apparently some of the parents had not complied with the rules. My husband and I wondered why they had not co-operated? Was it that they just did not know, or just did not care? I thought about this for a long while. What if it was their child who had a life-threatening peanut allergy? Wouldn’t they be doing everything in their powers to keep this child safe? Why did this same logic fail in reverse for some parents? I concluded that they were either doing what was the easiest for themselves, or purposely flouting the system. One note of many arrived home in my child’s backpack, in the attempts of educating parents of this serious classroom issue. It outlined that two children in my son’s classroom had severe peanut allergies that could result in anaphylaxis. In case the word “anaphylaxis” was not clear, the note clarified that coming in contact with peanuts could be deadly for these students. 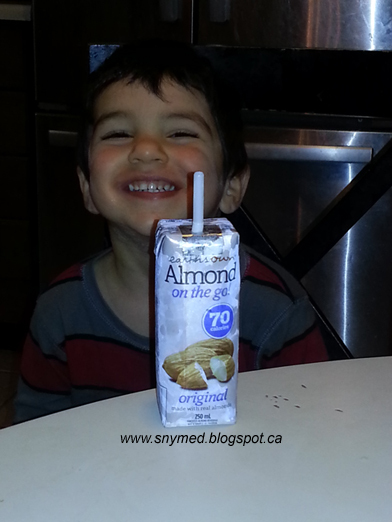 The next day, my son told me that one parent had packed shelled peanuts as a child’s snack. The lunch monitor had not noticed. I began to wonder what would happen if an allergic child were to come in contact with peanuts in the classroom? What would happen if no one noticed the anaphylaxis and the epi-pen could not be administered quickly enough? I had a sick, sinking realization that a child could die in a matter of minutes just because of a parent’s negligence! What must it be like for parents of kids with life-threatening allergies? To know that every day their child is at the mercy of uncaring others, for their very survival. It is no sacrifice for me to pack my child’s lunch peanut-free so that another child may be safe and healthy at school. So I ask you, what has to happen before all parents do the same? Must a child die first? Let’s work together to keep all our kids safe and educated, not just our own. And to put an end to the Peanut Butter and Jelly Sandwich Threat once and for all! This article is written by me, Jenna Em, and appears in the Wednesday October 23rd, 2012 issue of the Kuklamoo Kids blog. Check Out Our Halloween Costumes (with Video)! Power UP! Guess What We're Going as for Hallowe'en This Year? Power Rangers, of course! Overflowing Box of Power Rangers Hallowe'en Goodies! 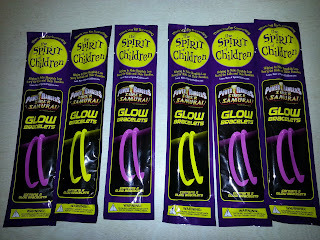 Keep Visible on Hallowe'en Night with Glow Bracelettes! ﻿﻿﻿I had spoken recently about Power Rangers costumes on this blog, but you haven't seen anything until you've seen them on! 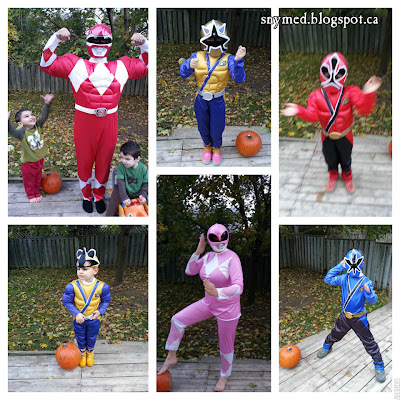 Take a look at Mom, Dad and most of the kids modelling awesome Power Rangers costumes! Yes, many of the costumes have "muscles" stitched in for that strong superhero look! All of these costumes can be purchased at Spirit Stores in both Canada and the US! ﻿﻿And for the action-loving kids out there sitting on your lap, let's not forget our action packed Power Rangers video, below! Check out the costumes in action...watch out for bad guys! Power UP! Fodada International Women's Self Defense Day - Nov 3rd! ﻿Fodada is a fashion brand dedicated to cool dads everywhere! The brand celebrates fatherhood and especially great dads. 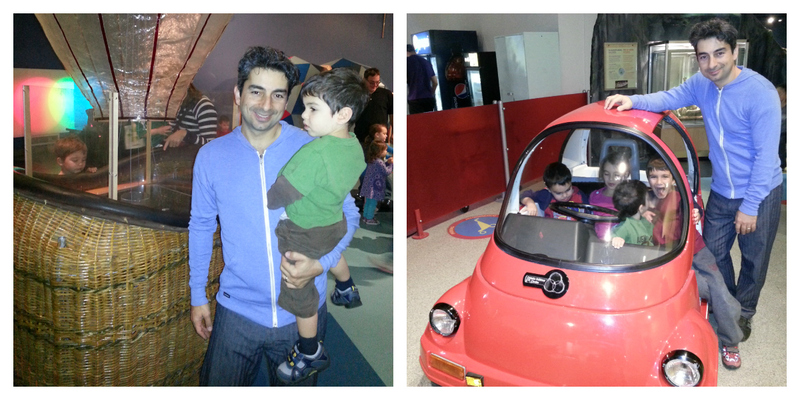 Check out my hubby wearing the Fodada Dada Hoodie in pale blue, at the Ontario Science Centre Media Day on October 13th, above. My young daughter remarked that hubby looked like a "teenager" in his new Fodada wear, and giggled like she found a new crush. Hubby found his new clothing cozy and effortess to wear. ﻿﻿Not only is Fodada dedicated to dads, but they are also very dedicated to women. It is in this spirit that on November 3rd, Fodada will be launching Fodada International Women's Self Defense Day. On that date, they will be offering FREE self-defense classes to women in the US and at various worldwide locations (Canada may also be added this year). This two-hour self-defense workshop is structured to empower women and heighten awareness of dealing with threatening situations. All spouses, daughters (over 13 years of age) and moms are welcome! Click here to register for and attend a FREE self-defense workshop. Studios or those interested in participating in upcoming events should click here. Have you ever taken a self-defense class? Have you ever been in a situation where you were worried for your safety? 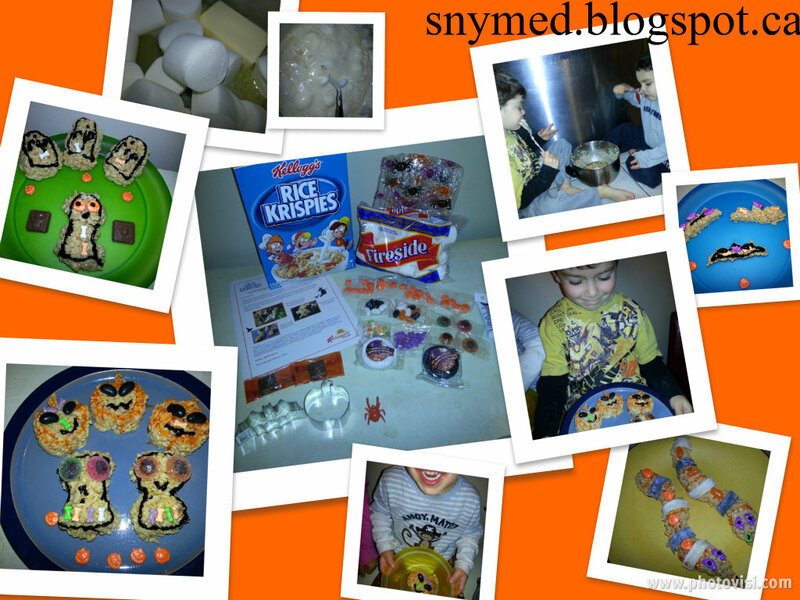 How to Make Hallowe'en Goodies with Rice Krispies! (CONTEST ~OVER~)! I love being part of the Kellogg's Network! Not only has my family used these trustworthy products for decades, but there are many recipes that can be whipped up for special holidays like Hallowe'en using these same products! 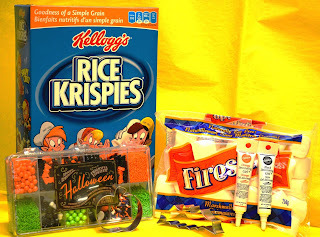 Take a look at this great Kellogg's Rice Krispies Hallow'een kit that I just received, above: Rice Krispies cereal, marshmallows, candies, chocolates, Hallowe'en cookie cutters and decorative icings! 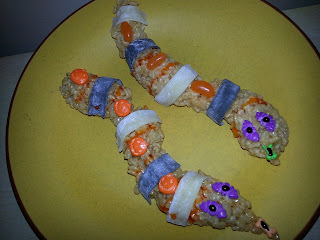 Perfect for making spooky snacks for your Hallowe'en party! 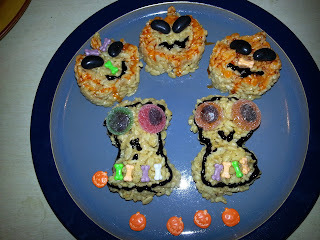 Start with an easy Rice Krispies Square recipe from the Kellogg's website, which can also be found on the back of your Rice Krispies cereal box. (Really, it's hard to mess up this recipe, with only 3 ingredients!) 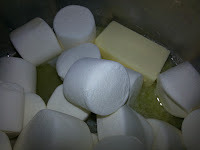 Melt 1/4 cup of butter (or margarine) together with one 250g package of marshmallows. Optional: add 1/2 tsp of vanilla extract. 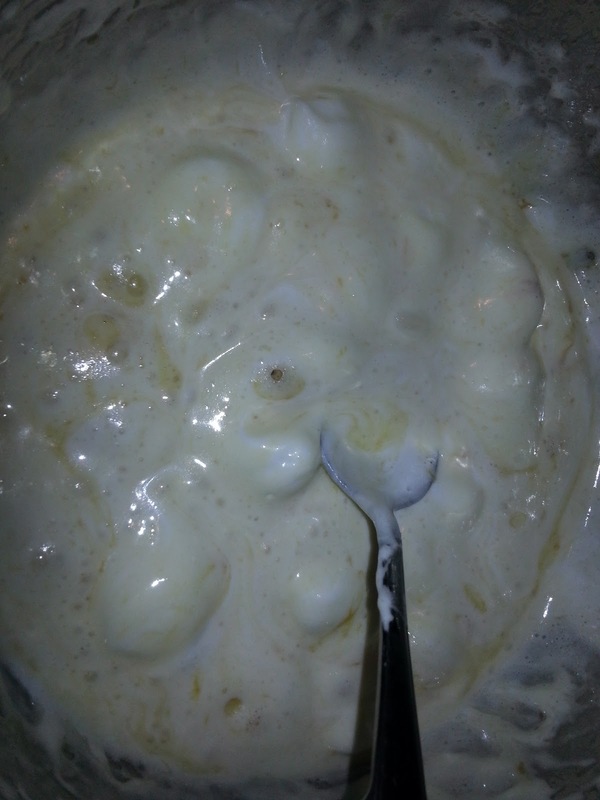 Drop in 6 cups of Rice Krispies cereal and coat thoroughly. That's it! Now grab some Halloween cookie cutters in the shapes of pumpkins, bats, etc. (You can event hand-shape some creepy shapes, like I did with the skulls, below!) 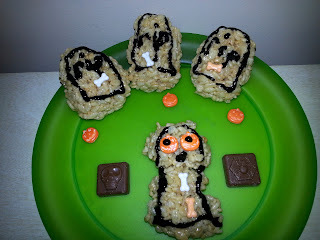 Next, add decorative icing, candies and chocolates to add more BOO to each bite! 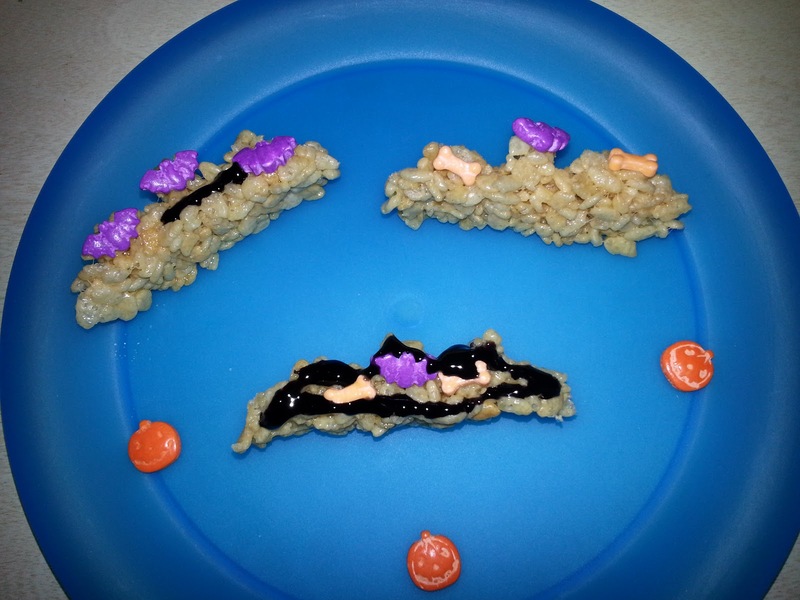 See the creations that I made with the kids, below! 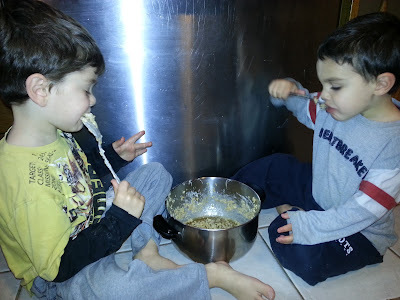 Okay Kids, NOW you can lick the pot clean! 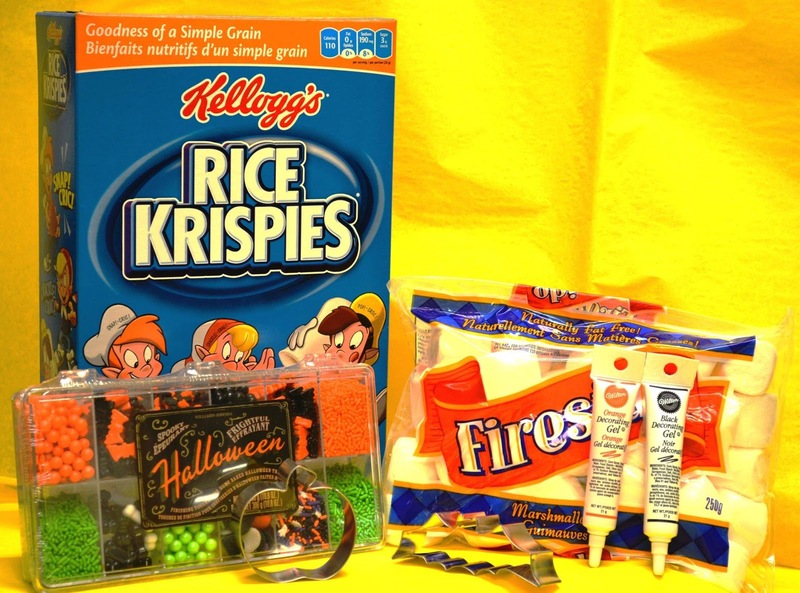 Don't forget to pick up your Rice Krispies and marshmallows from the grocery store so you can make your own Halloween creations! What kind of tasty snacks do you enjoy making for Hallowe'en? 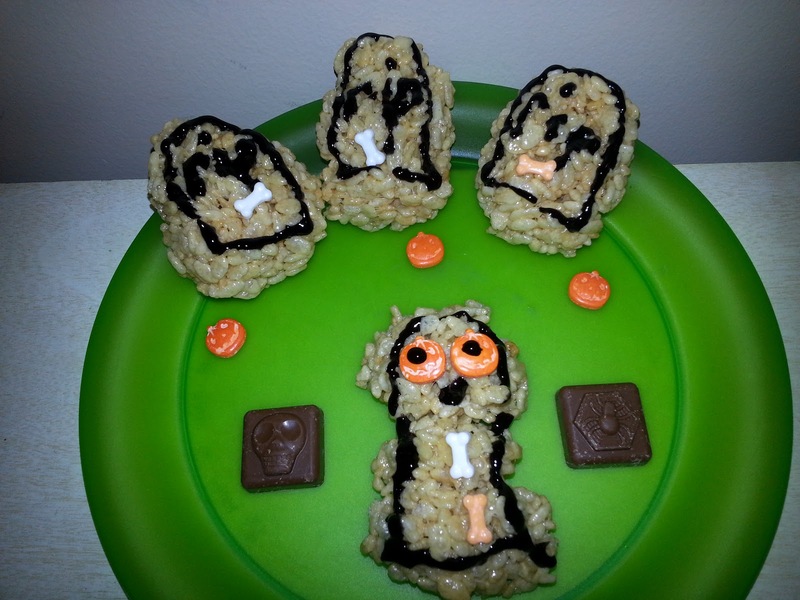 What Hallowe'en creation would you make from Rice Krispies? ENTER (Daily): Tell me one Rice Krispies Halloween creation I displayed in my blog photos, above. In the same comment, say how you follow SnyMed (on Twitter/Facebook/etc) and leave the name you use to follow. You may do this once or daily, your choice. Important: leave a way to contact you if you're a winner! Feel free to earn daily bonus daily entries if you wish! Share one or both messages on Twitter & Facebook, with a link back in the comments below. Important: leave a way to contact you if you're a winner! I love being a Power Rangers emPOWER Mom, not only for the values that they instill like teamwork, confidence, physical activity and friendship, but because I also get to enjoy their awesome costumes! 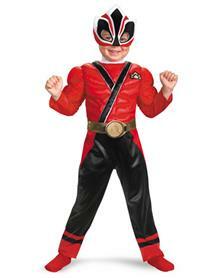 Did you know that new Power Rangers Super Samurai costumes are available for both girls and boys this Halloween? Your child will love morphing into his or her favourite superhero to fight the forces of evil! Keep your child safe this Hallowe'en with a Power Rangers reflective safety bracelet from Spirit Stores located in both Canada and the US! Power Rangers costumes and bracelets can be found at every Spirit location. 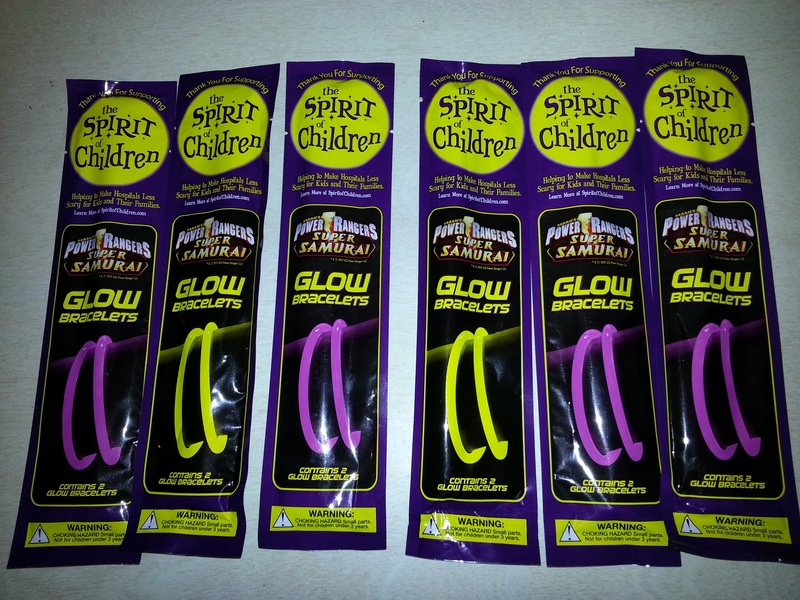 Bracelets are free with any size donation to Spirit Hallowe'en's "Spirit of Children" programme, which supports children's hospitals. Be sure ot watch this special Power Rangers Super Samurai video with helpful tips and advice to guarantee that this year's Hallowe'en is super fun and super safe for kids and parents alike! The Power Rangers website also has some cool kids Hallowe'en activities, such as a Power Rangers pumpkin stencil, Power Rangers Halloween computer wallpaper, printable Power Rangers Hallowe'en party invitations and lots of other Power Rangers printable and downloadable Halloween activies! WIN a licensed Power Rangers Super Samurai toddler costume in RED, size 3T-4T (costume might be slighty different than shown)! How cool would it be for your little one to be Trick-or-Treating in this awesome Power Rangers Super Samurai Hallowe'en costume! You may enter the contest DAILY if you wish! Enter 1 or all 4 ways, it's up to you! Make sure you leave a way to contact you should you win, as many accounts do not have e-mail hooked up to comments. 1a).Leave a comment, stating which Power Rangers Hallowe'en activity you like best, see here for choices! 1b).In the same comment, say how you follow SnyMed (ie: Twitter, Facebook, etc) and name you use to follow. 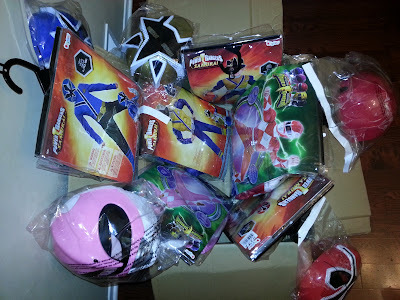 2a)Leave a comment stating the name of one of the Power Rangers costumes shown, see here for all costumes. Be sure to leave a way to contact you should you win! You can earn up to 2 bonus entries DAILY by posting/tweeting the contest on Facebook/Twitter, please see below. Rules: Contest open to both Canada & USA! Contest ends Thurs Oct 18th at 9:00am EST. Winners should be contacted the same day or shortly thereafter, so be sure to leave a way to contact you! Costume will be shipped directly to winner from Power Rangers. Good Luck everyone! We never expected that my Father-in-Law would be diagnosed with cancer, just months after retiring. A fun, robust, athletic man, he was the light of our childrens’ lives. When he told my husband and I of his diagnosis, it was his wish that we would not tell the kids, lest they be sad and worry for him. But after rounds and rounds of chemotherapy, the children had to be told why Grandpa was not visiting as regularly as before. Two-and-a-half years passed, and both chemotherapy and radiation therapy failed to work for my Father-in-Law. A social worker called about moving him into a Palliative Care unit. Countless doctors and operations were able to slow the cancer, but not the outcome. We took the kids to visit their Grandpa, and what we saw surprised us all: he had become a skeleton of a man. The family held onto hope that Grandpa would somehow take a turn for the better. But we received a phone call from the Palliative Care unit to hurry over, as my Father-in-Law was about to die. He passed away within minutes of the call. When we shook off the personal grief for a moment, the horror set in that the children no longer had their special Grandpa. He was gone and now we would have to tell them the sad, sad news. Tell the Truth – When a loved one dies, tell your child the truth—or as close to the truth as possible. For example, Grandpa died of cancer. If your child is very young, try to explain it in simple terms. This step helps your child learn his or her medical history, which may one day be forgotten, or lost when keepers of this information also pass away. Share Your Feelings – Don’t be afraid to share your feelings with your child when a family member passes away. It is important that your child share his or her feelings too. Don’t try to hide tears in front of your child, instead use the opportunity to discuss your sadness for a loved one’s passing. Make an “I Love You” List – Reassure your child that you love him, and make a list of family members and close friends that love them too. When a loved one dies, your child’s world may seem smaller and less hospitable. The “I Love You” list will be a reminder that your child is not alone. Be sure to tell your child that you will always be there for him and that you will not be going away. Keep the Memory Alive – Have your child remember a departed loved one by drawing a picture, writing a letter, or doing something special in memoriam. If your child is very young, give her a laminated photo to keep of the special person (this makes it more durable). Encourage your child to share memories of the loved one, and offer memories of your own. If you can offer fond memories of a special time that your child spent with the loved one, it is sure to bring some warmth. Believe in Heaven? – “Mommy, where do you go when you die?” If your culture embraces a concept like Heaven, this is sure to ease some of your child’s worries. However, if you do not subscribe to such a belief system, do help your child find a peaceful answer to this question. Visit the Final Resting Spot – Not all cultures allow children to attend the funeral, so do allow your child to visit a loved one’s final resting spot if the desire is there. Depending on your culture, your child can be an active participant by putting a flower or stone on the final resting spot (ie; headstone), or by speaking a word or two. 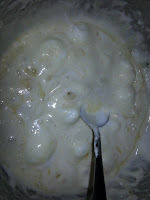 This article was written by me, Jenna Em, and appears on the Wednesday October 10th, 2012 edition of the Kuklamoo blog. If you read my review of CheeCha Puffs, you would know it is a tasty low cal snack (entire 20g snack bag is only 90 calories!) It is also nut-free, which is a big consideration when giving out Hallowe'en candy this October 31st. Yes, certain varieties are even gluten-free! It's one of those few snacks that is also cholesterol-free, Trans Fat-free and MSG-free! If you don't have a FREE Twitter account, just sign up on Twitter and make sure your tweets are not protected. It's very easy to set up. Contest is open to Canada only (yes, you too wonderful Quebec)! Ends Monday October 15th at 8:00pm EST. Winners: torlonias, cathy c, fesspoire, nicolthe pickle. CONGRATULATIONS y'all! 1.Tweet a message to any of the following Canadian grocers on Twitter, see list below. 2.The message should politely ask the grocer if they carry CheeCha Puffs of a certain flavour, from the list below. 4.Every tweet is worth one entry into the contest. You may tweet each retailer daily to earn one contest entry, but do NOT tweet the same retailer twice in one day. 5.CheeCha Puffs must be included in your tweet: @CheeChaPuff. 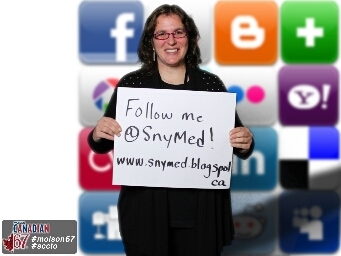 6.You must follow @SnyMed on Twitter in order to be eligible to win. Thanks! Hey @ShopprsDrugMart, do you carry the @CheeChaPuff Salt & Vinegar flavour? @QualityFoods I was wondering if your store carries @CheeChaPuff Luscious Lime snacks? @michaelangelos Could you tell me if your store stocks @CheeChaPuff Triple Cheese puffs?